Mary Welsh, the Big Issue North’s former walking expert and the author of 38 books, has died at the age of 88. The former teacher had produced a quarterly series of walks covering the North West, Yorkshire and Humber for Big Issue North from 2007 to 2016. 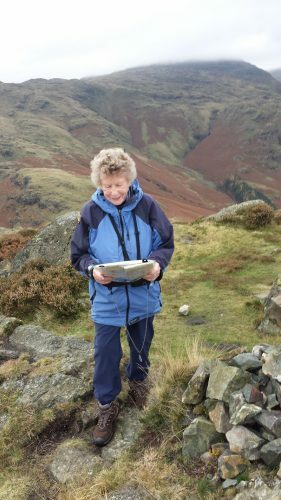 She was also the author of 38 books and 12 substantial booklets, leading thousands of walkers over mountains and through the countryside for 35 years. Many went into third, fourth and some even fifth reprints, selling more than 200,000 copies. Welsh had moved from Islington in London to the Lake District in 1982. Her first book A Country Journal – The Diary of a Cumbrian Naturalist charted her delight as she explored the village of Broughton-in-Furness, which she had moved to. Her latest walk appeared in the December 2016 edition of Country Walking. From 1985 to 1989, the Westmorland Gazette published Welsh's four-book series A Naturalist’s Guide to Lakeland Waterfalls Throughout the Year. She was an established columnist for the Kendal-based paper and wrote 692 columns for it, even taking the accompanying photos as well. Welsh leaves two daughters, two sons and six grandsons, all of whom often accompanied her on her walks.